Please feel free to update this document and share your findings and tips. After you have updated UI_Add-on, please double check following points. 1. Double check the latest SP and mandatory notes. 6. Test without Custom Theme. Theme should be rebuilt. First, test launchpad without custom theme. You should see deep blue background color. If it works fine, rebuild your custom theme and test. Fiori Launchpad Error: Failure – Unable to load groups Resolved!!!! We just updated SAP_UI to SP09, Is it required to update the SAP_GWFND to SP09 too?? Currently the GW FND is at SP07. SAP recommendation is updating components by SPS: Support Package Stack. SAP_UI and SAP_GWFND are part of NetWeaver 740 and SPS are available. Thanks for your tips. We just upgrade to UI SP09 and have error message “Failed to load groups” in lanuchpad. I did the exact same above steps 1-8 (Applied so many notes 🙁 ) and then everything as mentioned. Still getting the error ‘Failure – Unable to load group’. Can’t think of anything clever to look further, please kindly help if you recall something else? Masa, Any advise? Have been really struggling to make this work so far and somehow looks like something has still been unlooked though I have been very meticulous and careful to execute all of the above steps. Select service ZINTEROP, delete SICF-Nodes (left bottom side), delete systemalias (right bottom side) and (important!) click again on ZINTEROP and choos “delete service”. After that “add service”, select your Systemalias, click “get services”, choose /UI2/INTEROP and click “add selected services”. Like other I had also upgrade to EHP7 & UI to SP09, after which started getting the Fiori launchpad error. Any help is truly appreciated. Was able to resolve with a hunch. Solution is Fiori Launchpad Error: Failure – Unable to load groups Resolved!!!! Please share that the step 9 is helpful or not enough. Yes Masa, ofcourse it truly does help. gave some ideas to look at other places. I am glad that we have resources to look around and figure out the real root cause of errors. Shall the app-specific add-on be upgraded too? Support Packages for apps were released as 5th delivery in July 2014. Hope you are good!! The blog is very helpful. Thank you so much for the blog. I have issue with custom app. I have a custom app with single page(view). The view is having a background image. When run the app, it is working fine and also showing image. My concern is, when I deploy the custom app to sap fiori launchpad, it does not show the image. How to fix the issue? Pls suggest me…. after SP09 we’re unable to see any entries for catalog in launchpad designer (hangs on with text “loading”) however .groups are loaded but when I double on groups nothing happens as well (nothing opens in right hand side). I went over your troubleshooting steps for no avail. Do you have a suggestion for checking as a starting point? (+ 20 other notes mentioned in 2051051)and covering Masa’s checklist through steps 1 to 8. Implemented the note 2051051, and the SAPUI5 library is now 1.22.5, but still “Unable to load groups”. So I think using theme designer to rebuild themes is necessary? I believe it is necessary if you are using a custom theme, otherwise SAP’s own themes cannot be rebuilt. Did you also implement the other 20 notes mentioned in note 2051051? Those notes actually solved our problem. I’ve implemented all notes mentioned in note 2051051, and I’m using the default blue crystal.I guess I have to figure out the theme designer issue first cause it’s totally blank. Anyway,thank you very much for your suggestion! I am also the same issue as you of launchpad designer. Not able to create any new catalog. catalog search showing only loading text and groups are loaded but with nothing on the right hand side. Before applying 2051051, did you apply any other note mentioned in the top list. Implemented all the notes mentioned above and upgraded IW_BEP and IW_FND from SP07 to SP09 solved the issue. we have installed SP09. Now do all these notes I need to install manually one by one? or is there any central note for them? You can install SP10. You do not need to apply many notes. We are working on the old launchpad. So it is compulsory to install new launchpad to continue the work, because we are almost in the mid of the project. New launchpad was available about 1 years ago. It does not make a sense using old launchpage. Is it possible to install Launchpad on ECC6 EHP5? In my “Admin view” for Fiori, the “Target Mapping Template” tile is missing, so I was trying to resolve this following above actions accordingly, but here I noticed that above link (2017117 – Resetting the gateway metadata cache following UI add-on upgrade) took me to SAP Corp site note. Thanks for finding it. The link is corrected. I have error “NaN” is of type number, expected int for property “counter” of Element sap.m.StandardListItem#__item1-__xmlview0–catalogList-0″. In my “Admin view” for Fiori, Intent Mapping window of Create Target Mapping is not appearing. So we applied the Note 2047349 — ( Hotfix 1.22.3 for UI AddOn SP09 SC: UI2_SRVC), Now we are having issues in accessing the Admin view for Fiori Launchpad. Catalog is keep on loading and not able to add new catalog. What could be the exact issue and what exact mandatory notes we need to implement to work the admin page as expected for SAPUI version 9 ?? 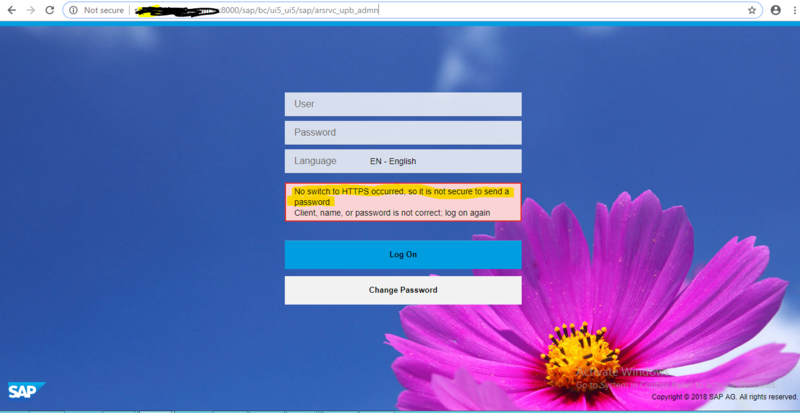 Please look at SAP Fiori – UI Add-on SP11 notes list, SAPUI5 library 1.26.13 (beware of 1.26.12). Thank you for the detailed guide! Thanks to this guide, I finally got catalog list on Launchpad Designer! Although I couldn’t apply latest patch 22 because of upload error but applied patch 21 and about 10 notes and resolved. You may add them to section two of your troubleshooting guide. Great blog and a good reference page. We are using Fiori launchpad, we have problem to attach (all kind) of document to Fiori launchpad. From Fiori launchpad, when we find the document that we want to attach. The document can be from (client, pc or server or ….) . When we push attach the document : there is nothing happened. We get no error massages, and the document will not be attach. I can not find any error or I donot know where should I look for error. We need to attach this document for over customers in Fiori launchpad. I hope you can help us with this. Thank you for the very helpful blog. It was only now that I read it and is trying to learn Fiori. I still don’t get to see the target mapping tile. I executed all the steps you mentioned and still can’t figure why. I found this gateway error and not sure if this is the real cause. Hope to get feedback/comment from you. I have bunch of KPIs built using CDS Views+Lumira designer. They are assigned to few groups such as “Finance KPIs”, “Logistic KPIs” etc. In each group there are several KPIs, so when you click to a group it runs all the tiles/KPIs under each group. Since I don’t use KPI Modeler, there is no “KPI Preview” option for each tile, hence there is no reason to run ALL KPIs under each group UNLESS the individual tiles have been clicked. Is there a way to configure each tile to be executed only when it’s clicked? we have doing implementation of SAP Fiori(SAP Netweaver 740) with SAP ECC 6.0 EHP 7(Back End Server). Please guide us regarding this error.